Universiti Putra Malaysia (UPM) is the one of the largest universities in terms of land size in Malaysia. 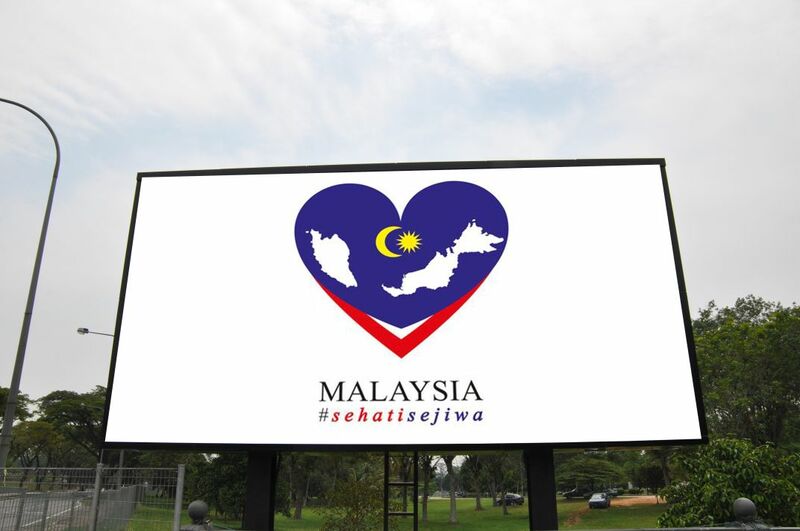 It is also one of Malaysia’s leading research universities. LEDtronics was trusted as the digital display expert to supply and install the first LED digital billboard for UPM Holdings, which is a wholly-owned company by UPM. This company envisions the need of building their own digital advertising channel as a mean to modernize the campus landscape. This LED digital billboard serves as a medium to generate revenue, to in-sync with the vision of the government such that all public universities need to generate their own income, at least 30% of their operating expenses by year 2020. 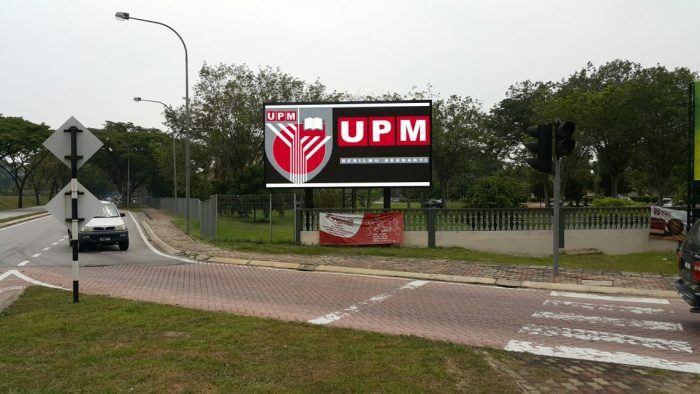 The display was installed at the strategic location, situated at Masjid UPM, and an unmissable junction between Persiaran University 1 and 2. 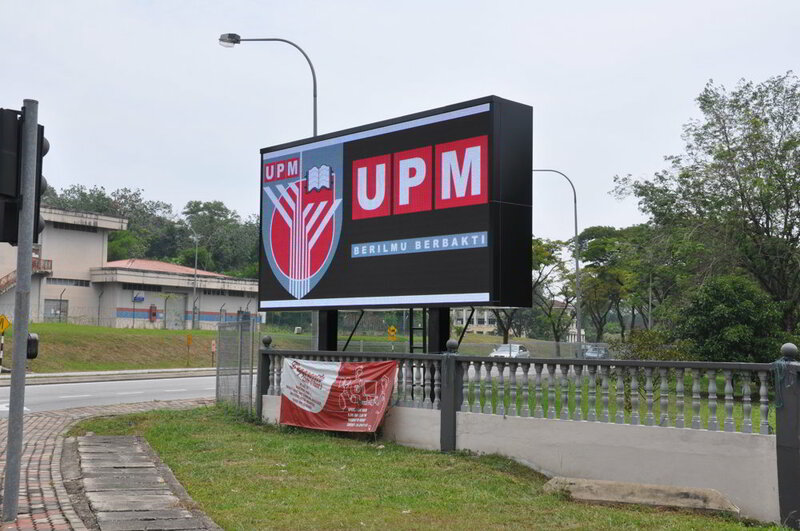 Combined with high brightness and high refresh rate capabilities, this state-of-the-art billboard is perfect for the needs of outdoor digital advertisement.